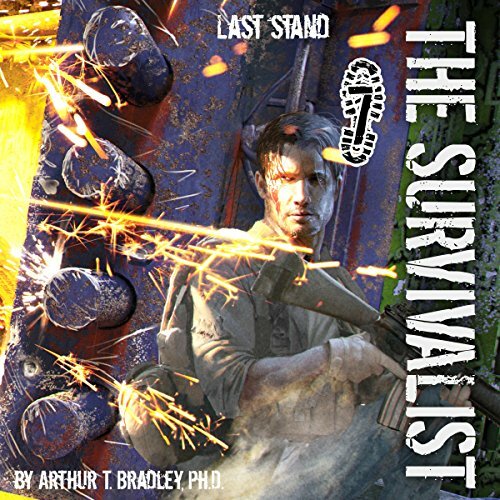 Last Stand is the seventh book in Dr. Bradley's Survivalist series. Justice is finally at hand. Deputy Marshal Mason Raines is closing in on General Hood and his murderous Black Dogs. 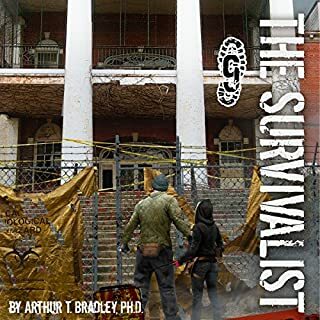 To protect President Glass, he must first find a way through The Greenbrier bunker's blast doors, a feat that will require confronting an unspeakable creature inhabiting the sewers. 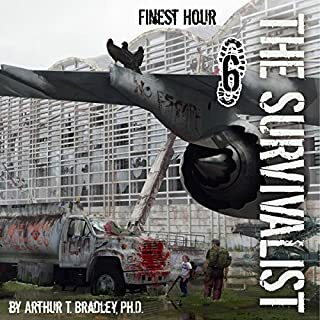 Terribly outnumbered, Mason, Bowie, Leila, and three young cadets must call upon every bit of skill and courage to make one valiant last stand. Meanwhile, Tanner and Samantha embark on a far less noble mission. Not only must they kill President Pike, they must also dismantle his powerful empire. To do so, they find themselves aligning with an army of hideous, and often unpredictable, survivors. Only after unleashing the violent horde do they begin to realize that their hasty alliance might result in the collapse of the entire federal government. What made the experience of listening to Last Stand the most enjoyable? The narrator is great and made the story real and very enjoyable. He is on my list of favorites now. The story was easy listening and is by far my favorite of the series. Samantha was so precious and smart. Her relationship with Tanner was so much fun and very sweet. I believe it was the narrator that made Tanner loveable as much as the written word. Bowie the dog is probably my most favorite character because I love dogs and love stories that have a dog as part of the story. What about John David Farrell’s performance did you like? He did an excellent job. Will look for books narrated by him as I stated above. As it got towards the end I did. All the books were good but this was the best. 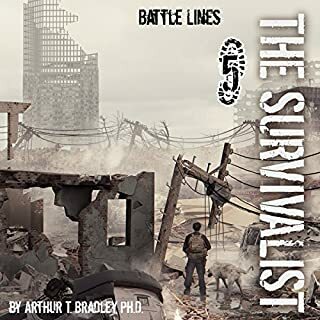 This is my first book or series by Dr. Arthur D. Bradley. I though it was a great series and actually got a little sentimental about it ending. Although I say it's the end it could be a beginning of another series. I would read it. I recommend this book and will look for other books by this author. This book was the best one in the series so far! Enjoying everyone! Hope to see them made into quality movies. While the storyline encompasses several different simultaneous plots, some of the situations are far fetched. I'm loving this series! narrator is consistent with individual character voices throughout this series. plot twists are amazingly unexpected! Would you consider the audio edition of Last Stand to be better than the print version? Well I've never read the print version but I love listening to books with good narrators. What other book might you compare Last Stand to and why? 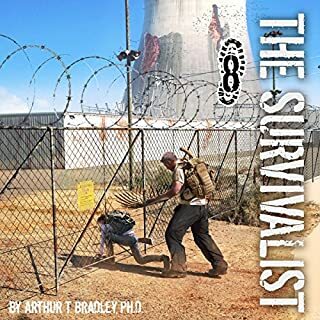 Well the only other series that I have stuck with is the "Survivalist" series by A. American. Very good series with really good characters. EMP rather than an outbreak. But I absolutely love Tanner and Sam in this series. Tanner is awesome!!! I like his ability to give the characters real defining personality in his voice. You never have any doubt who he is when reading the characters lines. Non Stop Action !, and some emotions on the side. I've read all the books in the series and am so disappointed when they end. I've grown attached to the characters in the books and can't wait for the next book in the series. 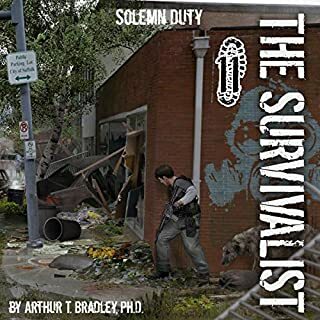 I like post apocalyptic storylines, no surprise, mostly Zom-Poc (Spoilers) While this storyline has no zombies, it does have some nasties in the form of mutated humans effected by the super pox, a deadly vifurs that has decimated most of humanity. The humans unlucky enough to contract it and survive have been horribly affected turning them into vicious sub human creatures that have an insane and uncontroled hatred for normal humans. They shun the light of day and hide but even the environment turns against them as they become a part of it literally becoming not only what they eat but where they live. If you've followed the series then this is no surprise but if you haven't, well imagine one living in a peanut factory or the sewers. Even living undrground has caused horrific changes. Thankfully not all have lost their intelligence, just their 'looks'. They are monsterous in appearance and treated as such. So yes, post apocalyptic yet they are only a by product of the true monsters: humans that caused the plague hoping to take control of what is left of humanity. Humans who will do what ever it takes to maintain control and will say and do anything to keep that power. But with arrogance and power comes folly and in this case it comes in the form of one of the only living/remaining United States Marshal; Mason Raines who has vowed justice for the fallen. Having already learned who was responsible for the death of his fellow marshalls, Mason has already taken out a large group of the mercenaries hired by now President Pike. He has now returned to his cabin in the mountains for a short respite along with Leila, the beautiful Moussad agent and his giant wolfhound Bowie. News of President Glass possibly being alive and coming out to discredit Pike, Mason decides the best way to stop Pike and bring him and those responsible to justice is to protect and ensure she lives long enough to point the finger at the guilty. And Tanner has also returned home with Samantha. After a brief discussion plans are made. Mason, Liela and Bowie will try to keep President Glass alive while Tanner has decided that Pike must be stopped. Father and son both on a mission, Mason to seek justice and Tanner has a far different attitude yet perhaps the most noble cause of all; Samanatha Glass. Tanner is hard and callous, even brutal when necessary but he has a code he lives by and it has little to do with justice. And as long as Pike is alive Samantha will never be safe. There are several harrowing trials in thier paths that will leave the listener stunned by battles on several fronts, under two different mountains.... the outcome? Surprising. Suprising twist that are anti climatic at best and hopeful at the very least. I sincerly hope this is not the LAST STAND. The entire storyline from Book 1-7 was very believeable, well written and wonderfully narrated by John David Farrell. 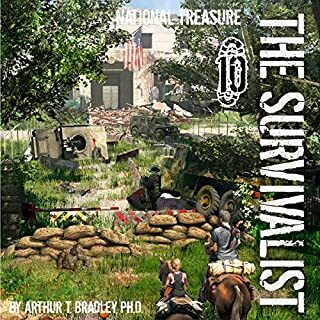 This is a must have in the library of any post apocalyptic fan. You won't be disappointed. wondering if there will be anymore to the series, good storyline and honestly I can see our world looking like it. Waited for this to come out and pull the whole story together. A few unexpected twists at the end really made for good listening.